Steven (Chicagoland, United States) on 8 August 2017 in Plant & Nature and Portfolio. 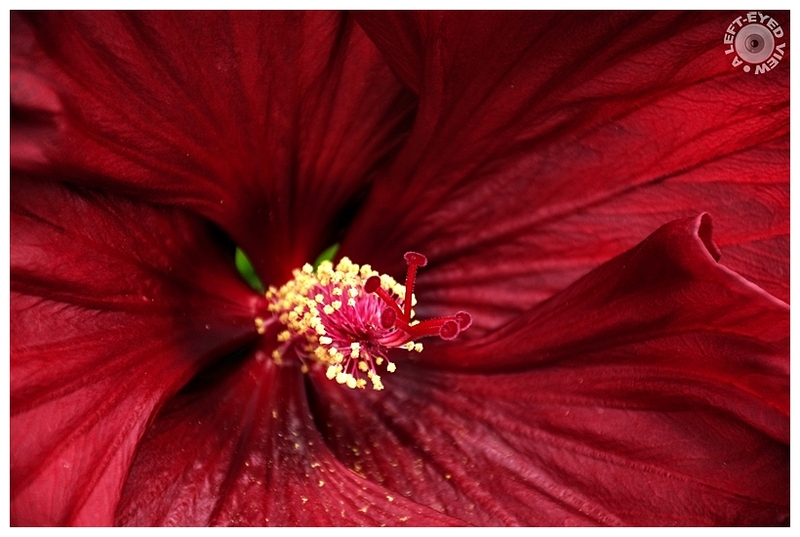 Hibiscus captured July 22, 2017. Like small beads with red velvet. yes absolutely like velvet !!! Superbe cœur de fleur ! Wonderful macro with this rich velvet texture. The color and detail are just magnificent. This certainly has a velvet feel to it. Beautiful and well made macro shot. 5 stars from me. The vibrant, rich color is stunning. Dans ce rouge tournat quelle vue quel coeur de fleur sueprbe. Beautiful capture of the twitsling heart . An impressive close up with excellent color and detail. It makes his striking picture. Marvelous image and perfect title. Have a nice end of week, Steven. It is extremely popular in Malaysia.